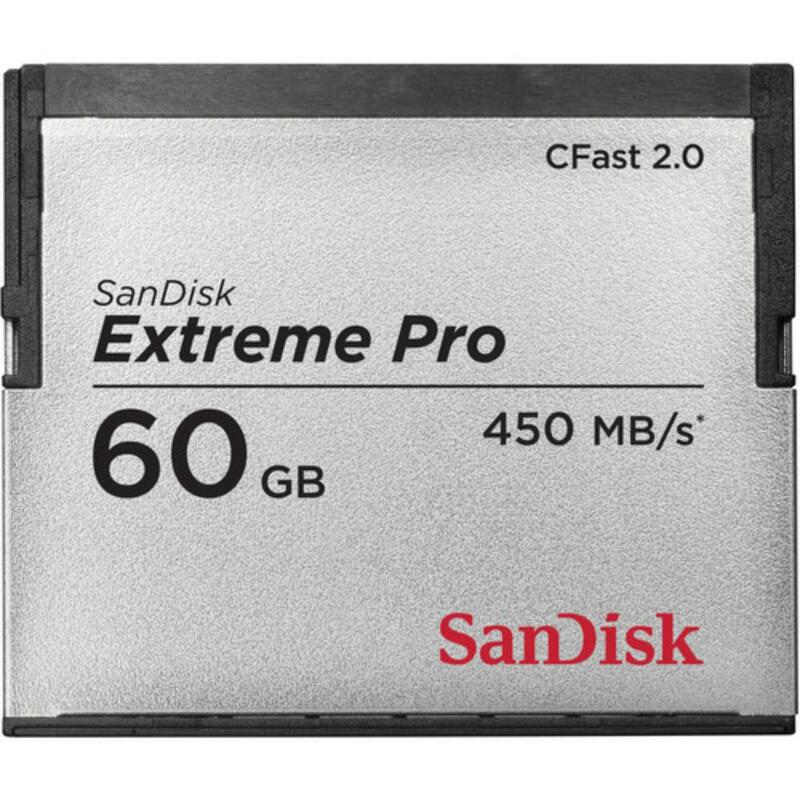 The SanDisk 60GB 450MB/s CFast Memory Card is designed for Full HD and 4K video recording and can keep up with burst mode shooting from professional camcorders and cameras. The CFast format is a continuation of the more familiar CF, or Compact Flash, format but they are not interchangeable. CFast currently is compatible with only select professional-grade cameras. Please see the Notes tab for more on compatibility. 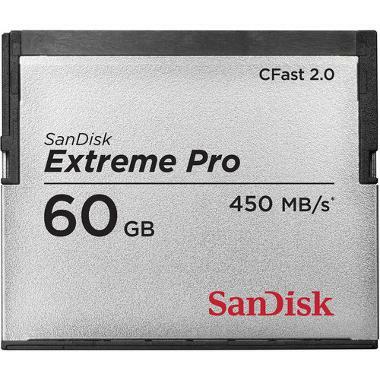 • Do not confuse CFast memory with CF, or CompactFlash, memory. CFast/CF are not interchangeable. • This card is not fully compatible with the Blackmagic URSA. • This card is not the best option if you're shooting with an ARRI camera that accepts Cfast. Please instead see the Lexar 256GB 540MB/s 3600x CFast 2.0 Memory for ARRI Cameras. • A card reader is not included with this rental.